When it comes to starting your home project, selecting your tiles is one of the most difficult things to do; partly because of the incredible range of tiles available on the market. So when you finally decide on what tiles to use for either your walls or floors the next debate is how to lay them. Brick Bond? 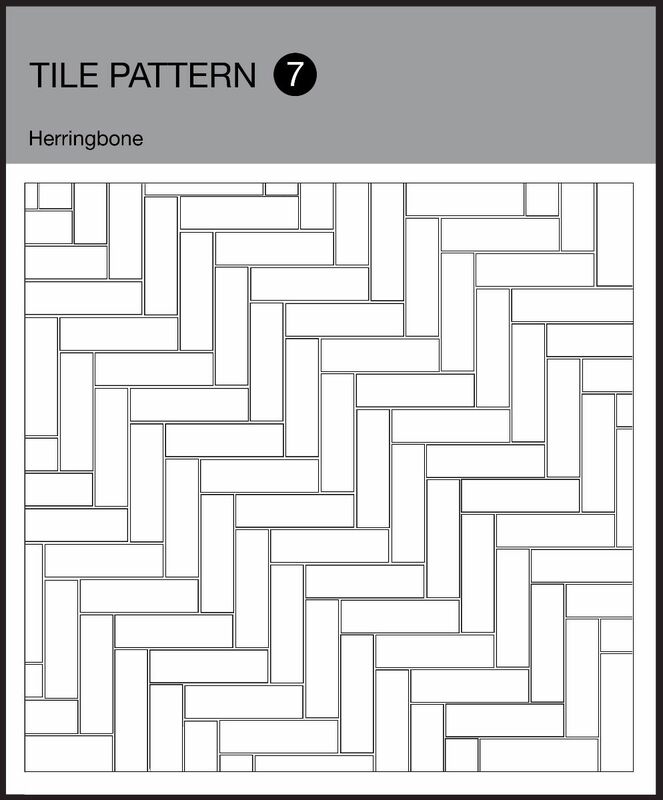 Herringbone? There are so many options to choose from and so many ways you can go wrong, meaning the pattern layout becomes just as important as selecting the tiles. To provide you with a spark of inspiration we’ve put together a selection of the most popular tile patterns to help guide you. 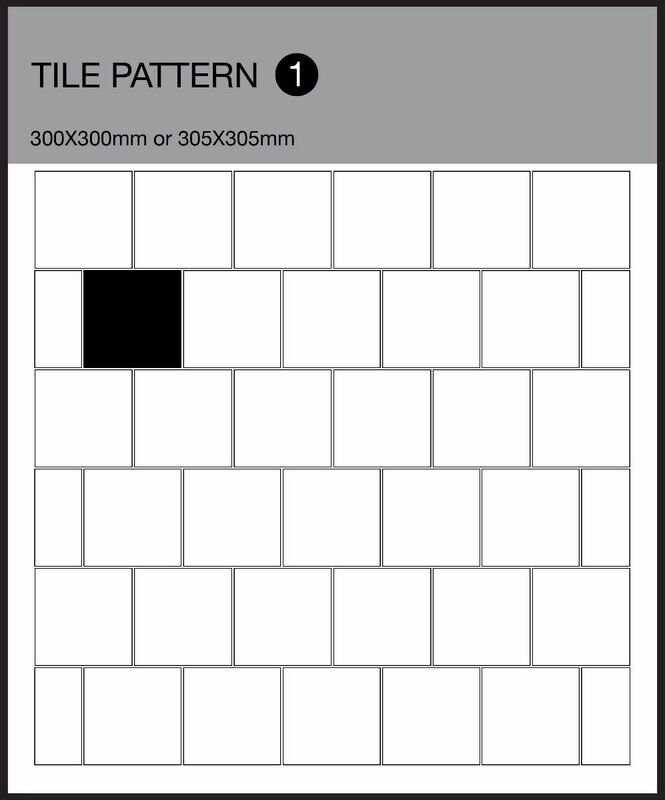 Suitable for tiles under 600x600mm square. When tiling in a brick bond pattern, we recommend allowing 10% extra for cuts and breakages. 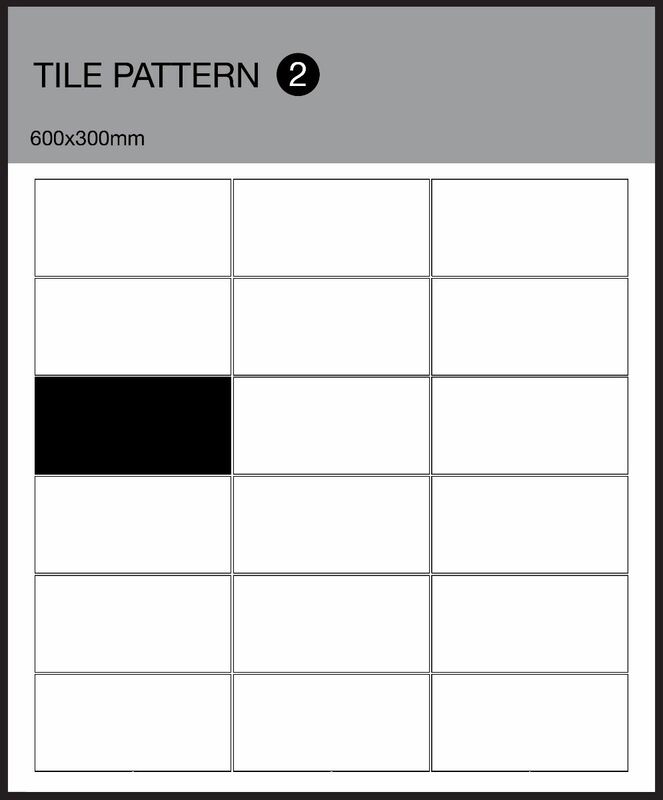 A contemporary pattern suitable for all horizontal format tiles. 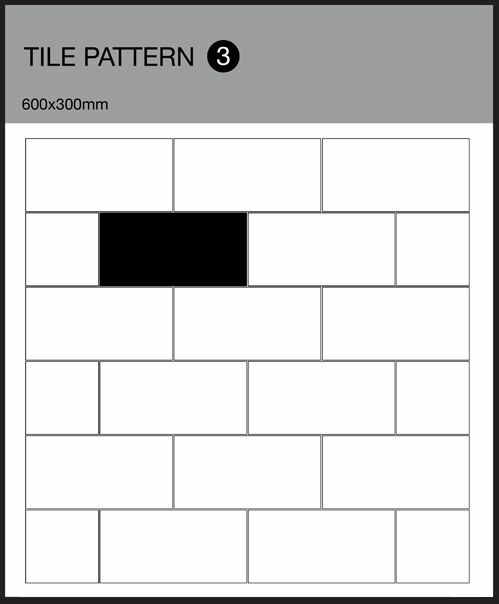 When using this pattern, we recommend allowing 10% extra for cuts and breakages. 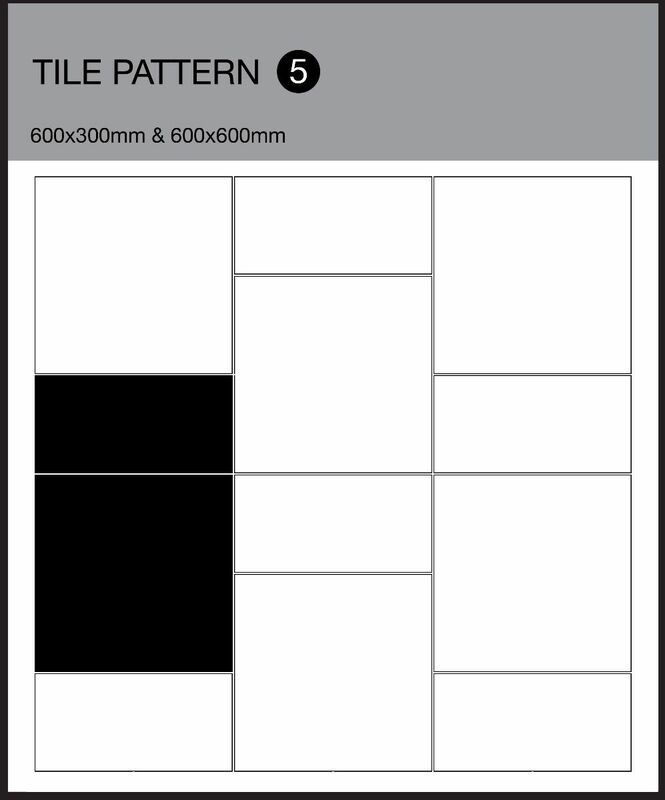 Suitable for all horizontal format tiles under 600x300mm. When tiling in a Brick Bond pattern, we recommend allowing 10% extra for cuts and breakages. 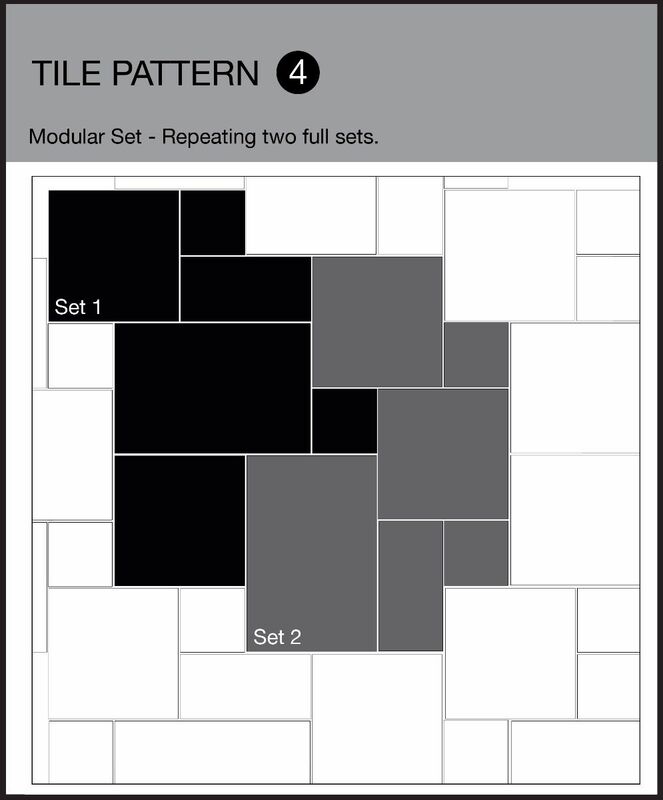 When tiling in a modular flooring pattern, we recommend allowing 10% -15% extra for cuts and breakages. A contemporary pattern which looks great with 600x600mm & 600x300mm. When using this pattern, we recommend allowing 10% extra for cuts and breakages. 600x300mm & 300x300mm in a brick bond style. 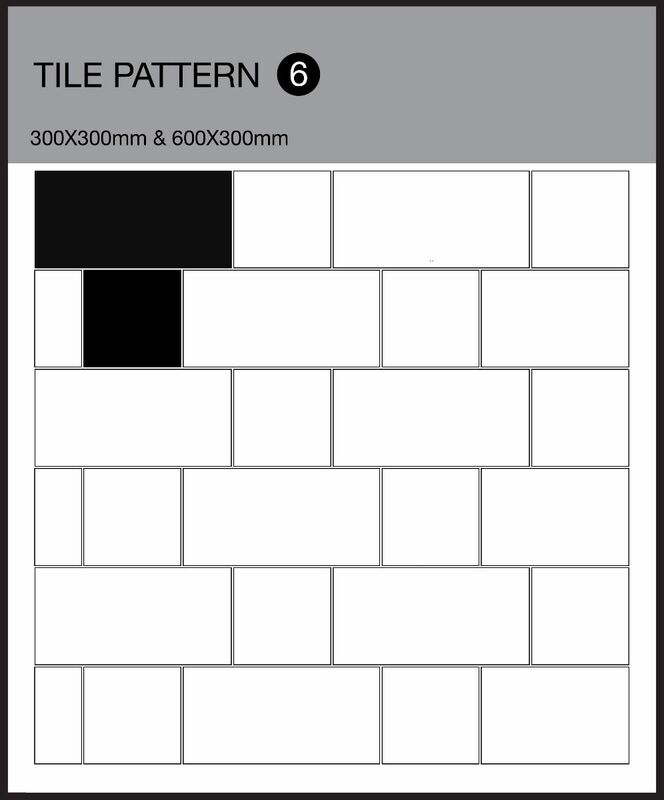 When using this pattern, we recommend allowing 10% extra for cuts and breakages. An on-trend pattern which looks great with smaller brick formats. More cutting will be required so you need to allow 20% extra for cuts and breakages.